1) Randal Hale -"Introduction to QGIS"
This 4 hour workshop is designed to introduce you to QGIS 3.x, an Open Source GIS software for viewing, editing, and managing spatial data in a wide variety of commonly used vector and raster formats. It is lightweight, flexible, and can be installed on Windows, MacOSX, and Linux. By the end of the class students should be able to install QGIS, display data, begin editing, and create a map. The State of Tennessee is very close to completing 100% coverage of QL2 Lidar. The data is shared with the public and this training will help you get started using it! This is an introductory course and will focus on understanding more about Lidar data, its products, use cases, and the capabilities within ESRI ArcGIS Pro and ESRI ArcGIS Desktop. There will also be a demonstration using QGIS to leverage the data. This will be a demonstration style course and handouts will also be provided. Note: This class material is similar to the previously available TNGIC LiDAR classes but it has been updated to include workflows in ArcGIS Pro. If you have questions about the content please feel free to contact Paul Dudley at Paul.Dudley@tn.gov or 615-770-3809. This year we are offering vendors the opportunity to be a platinum, gold, or an exhibitor level sponsor. Each sponsorship level allows companies digital advertisement space, attendee registrations, vendor booth areas and much more! Details are below. In addition to the options above, we also offer the following sponsorship opportunities which provide high profile company recognition to all attendees: Lanyards, Pads/Pens, Break/Lunch Sponsor, Social Event Sponsor, Raffle Prizes, Event Prizes (Geocache and Golf Tournament). Please contact Kevin Bingham for more information about these opportunities. As with previous conferences, we are offering vendors the chance to participate in the Increase Booth Traffic option for $125. Each participating vendor will be given a paper punch with a unique symbol. Each attendee will be given a postcard in their registration packet that shows the participating vendor logos. The object is for the attendees to acquire a punch from all of the participating vendors in order to be eligible to win a prize!!! During the morning and afternoon breaks, snacks and refreshments will be provided in the Vendor Area for increased traffic. This provides a tremendous opportunity to interact with conference attendees! Registration is now open. The link is at the top of this page. The 2019 Annual TNGIC Conference Planning Committee is currently accepting presentation abstracts for the upcoming conference at the Chattanooga Convention Center in Chattanooga TN! Please review the guidelines and provide the information as requested below for consideration. Questions and abstracts should be directed to David Light. All presenters must be registered for the conference for at least one day. Internet access (if needed – note below), electricity, projector and screen will be provided. Deadline for submission is April 1, 2019. Please submit abstracts as early as possible. Presentations will be selected based on topic, content, and time available. All authors will be notified of their presentation selection status after the selection process is complete. Please note: There are a limited number of presentation slots available. We cannot guarantee that all submissions will be accepted. TNGIC reserves the right to accept or decline any presentation abstract; submitted before or after the deadline, for any reason, as needed. 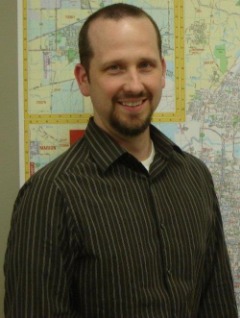 Kevin Bingham is the GIS manager for the Town of Collierville and has been in this role for the past nine years. He graduated with a B.S. in Geography from the University of Memphis. He has worked in local government at Collierville, in the private sector at EnSafe, Inc., and in the federal government at the Army Corps of Engineers. In 2010 he became the GIS Manager for Collierville. Kevin has been an active participant in TNGIC for approximately 15 years and has served on the Board for the past three years. He has served as the vendor coordinator for the TNGIC conference and has given several presentations throughout his years in TNGIC. Kevin lives in Lakeland with his wife, Anna, and their three boys. When not serving the citizens of Collierville, Kevin is active with his church family, enjoys working in the vegetable garden, and loves spending time with his family hunting, fishing, and playing in the dirt at their family farm in Hardeman County. Bryan is the owner/operator of MSM Technologies in Shelbyville, Tennessee. He is a Certified Photogrammetrist with over 30 years’ experience in the field of Photogrammetry and Geospatial Mapping. Before starting his own company in 2013 he worked for several Geospatial Mapping Companies some of the most recent being Atlantic Group, G-Squared, Earthdata/Fugro. He has worked as salesman, project manager, Photogrammetric Dept. Manager, to name a few positions through the years. Bryan attended Nashville Tech. He has previously served on the TNGIC Board and Conference Committee. Ray Boswell is the GIS Manager for the Blount County GIS Group, which is a partnership between Blount County and the cities of Alcoa and Maryville. He graduated from the University of Tennessee, Knoxville in December 1995 with a BA in Environmental Studies and a Minor in Geography, and began his geospatial journey two weeks later in Nashville as a GPS Specialist performing utility inventories throughout the southeast. This journey would take him from middle TN to south Florida to northern California back to middle Tennessee and finally to east Tennessee in 2005. In 2000, Ray transitioned from the private sector to public sector when he began as a GIS Technician with Sonoma County. He has continued to work in local government since then with stops in Franklin, TN and now Blount County where he has developed the shared GIS from the ground up. He has been a TNGIC member since 2003 and has presented and submitted posters/web maps numerous times over the years. In 2016, he was the chair of the east Tennessee Regional TNGIC forum. Sunny's background is in plant ecology, and she began working with GIS applications as an ecology intern at Arnold Air Force Base. She graduated from UT Chattanooga with an Ecology degree in 2013 after working on a rare-plant and ecological mapping of the Ocoee River Gorge. Through this work, she became self-taught in GIS applications. Upon graduation, she began her work with the state in Tennessee's Division of Natural Areas as a recovery biologist and later transitioned to a position with Tennessee State Parks as a GIS specialist. Here, she helps manage the state parks database as well as utilizes various platforms for managing data collection and communications across the 56 state parks. She is the chapter lead for the Women in GIS - Nashville, and is a member of the steering committee for the Southeastern Grasslands Initiative. Charlie serves as the Director for the University of Tennessee at Chattanooga’s Interdisciplinary Geospatial Technology Lab (IGTLab.) His duties include GIS project development and management, spatial modeling, cartography, partnership coordination, and GIS software, hardware, data management for UTC's campus and partners, and student mentorship. Charlie earned his B.S. in geography from Jacksonville State University and his professional background stems from the application of geography and GIS for natural resource management. He has worked with numerous conservation organizations, NGOs, and the National Park Service. At UTC, Charlie gets to work on a wide variety of GIS projects across campus with students, faculty, staff, and the greater community through partnerships. When not in the GIS lab, he can be found exploring mountains and canyons via mountain bike or kayak. Purpose: Education is a central component of the Tennessee Geographic Information Council’s (TNGIC) mission. The purpose of the TNGIC Student Project Presentations is to encourage and support students’ education through the completion of commendable GIS projects. TNGIC hopes to make numerous awards annually, available to any qualifying undergraduate or graduate student enrolled in a college or university in the area served by TNGIC. • The applicant must be an undergraduate student currently enrolled and in good standing at a college or university in the area served by TNGIC. • The applicant must be enrolled Full-Time (Part-Time will be considered, but FullTime applicants are preferred), or at a minimum must have completed at least 12 credit hours in consecutive semesters. • Applicants may be from any academic discipline; however, the project undertaken must involve GIS. • The applicant must submit a completed application. • The applicant must be available to give a 20-30 minute presentation on his or her work at the TNGIC Conference, held April 24-25, 2019 in Chattanooga. • TNGIC will be given permission to use the resulting project materials, copies of the materials, or make reference to the materials, to promote the student presentation program and to advance the mission of TNGIC. Actual ownership of resulting materials will remain with the applicant. Preference will be given to projects based in the Tennessee area. session of the TNGIC GIS Day Conference (the closing session is typically scheduled at the end of day two of the conference). Disbursement schedule is at the Board’s discretion. Three awards will be presented - $250, $150 and $100 (a plaque will also accompany each award). Description of the project – limit of 3 pages. A statement of the purpose of the project and its objectives. Include a statement pertaining to the originality of work or whether the research is part of a group project, research with professor, etc. If the project is part of a group effort or ongoing research, please state how your work contributed to the overall effort. A description of the methods that will be or have been used to accomplish the objectives. The significance of the project. Personal Statement – limit to 1 page. A statement of your plans as they relate to educational and career objectives and how those plans relate to GIS. Also attach a JPG image of yourself so we can feature your project (and yourself) in our next newsletter. Must be from a teacher, faculty member, or administrator. The map contest will feature awards in 5 categories. -Best Cartographic Design - Awarded to the map that artistically employs the elements of cartography without compromising use and functionality. Maps will be judged on fundamental cartographic principles including figure ground representations, visual hierarchy, color selection, typography, symbology, overall aesthetic appearance, etc. -Best Analysis - Awarded to the map that is best designed to display the results of spatial data analysis and presents the information in an unbiased way, allowing the viewer to extract their own conclusions, utilizing the map as a tool. -Best Student Project – Awarded to the best overall student project. Submitted maps may be cartographic or analytically focused. -Best Online Map – Awarded to the best Online Map using ArcGIS online. Map entries will be judged before the conference. At this time this category will not be eligible for the Viewer’s Choice award. -Viewer’s Choice – Award chosen by the attendees for the best overall poster. General poster size should be no larger than E-sized (34 in X 44 in). A .pdf of your map (96 dpi) must be submitted via e-mail to the map gallery coordinator (JasonS@hamiltontn.gov) by April 16, 2019 to be considered for judging and awards. MAPS RECEIVED AFTER APRIL 16, 2019 WILL NOT BE ELIGIBLE FOR JUDGING AND ONLY BE ELIGIBLE FOR THE VIEWERS CHOICE AWARD. Maps are to be checked in at the conference registration table. Authors will be available in the map gallery at a time designated in the conference agenda to answer questions about their map. Award recipients will be announced during lunch of the second day of the conference. Attention 4-H members: Enter the Tennessee 4-H GIS Contest, sponsored by TNGIC and UT Extension. Contact your local UT Extension 4-H agent for details. Bill is a seasoned GIS professional with more than 34 years of experience. Upon completion of his MA in Geography at Michigan State University in 1984, he started his career at the New York State Department of Transportation, which at that time was the home of the statewide mapping program. HIs initial work involved converting the mapping program from photo-mechanical to state-of-the-art digital production, in preparation for color printing, publication, and sale of 1:24,000 scale quadrangles, county base maps, the NYS atlas, and other maps. In the late 1980’s and early 1990’s, he and his team also led one of the largest civilian GIS deployments of that era, serving more than 1,000 users in 11 regional DOT offices. Since then, he rose through the GIS ranks in New York State government, culminating in being named New York’s first Geographic Information Officer in 2013. He retired from state service in 2016 and spent two years leading GIS program development in Washington, DC for the Universal Service Administrative Company (USAC), which is responsible for nationwide broadband support programs on behalf of the Federal Communications Commission (FCC). In April of 2018, Bill joined Applied Geographics, Inc where he is applying his carpe geo philosophy of building trust through collaboration, of effecting fundamental change through thoughtful investment, and of consistent attention to excellence, as AppGeo’s carpe geo evangelist. Course: The second Bear Trace course to open, Harrison Bay is destined to become a true classic in this collection designed by Jack Nicklaus. Referred to as “the best natural piece of land for a golf course,” the Bear Trace at Harrison Bay features Bermuda fairways lined with soaring pine and hardwood trees. Fairway and green side bunkers are designed in the traditional Nicklaus fashion and add notable character to the overall integrity of the course. Register: Please register on Reg‐Online OR Send check (made out to TNGIC) to: Sam Moffat, 701 East Scott Ave, Knoxville, TN 37917 If you have any questions – just contact me. Format: 4‐man scramble. Register on Reg‐online, please email Sam Moffat (Sam.moffat@woolpert.com) with your team member names or sign up as a single and I will find you a team!! Please note – all team members must be registered before event. GREAT NETWORKING & MARKETING EVENT!!! Geocaching an outdoor treasure hunting game using GPS enabled devices. Participants navigate to a specific set of GPS coordinates and attempt to find the cache. The Cache can be anything from a container full of items or a physical item that you have to describe. This is a great event for adults and children alike! Software Instructions: If you are using a Trimble GPS handheld, a TerraSync datafile will be provided for you. For recreational GPS users, a CSV files will be provide with the coordinates of the caches. How to Register: Please register at the 2019 Registration.